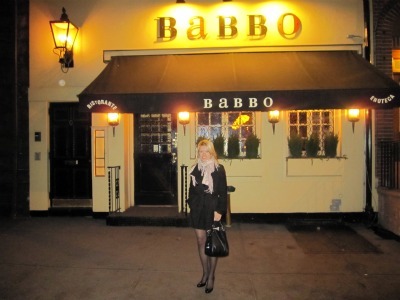 Last weekend I went to Babbo Ristorante, Mario Batali's restaurant in the West Village. SOOOOOOOOOOO GOOD! Reservations are taken exactly one month in advance at 10AM. Line will be busy, hang up and try again. I've had to sadly cancel reservations last minute before, and have been waiting and waiting to finally go. Thanks to the boyfriend for remembering to call! 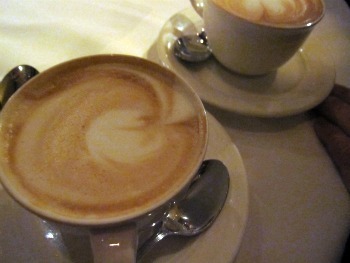 ...and finished with delicious cappuccinos. This restaurant is definitely one of my new favorites, as expected. Don't you hate when a restaurant doesn't live up to the hype? The ambiance, service and food were all phenomenal. I had a really hard time deciding what to order, I suppose I'll just have to go back. A must when you visit Manhattan! 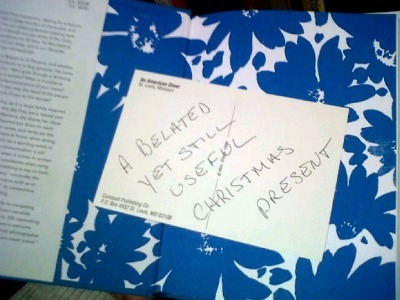 I opened the familiar Manners by Kate Spade and a postcard of a diner in St. Louis, Missouri fell out that read "A BELATED YET STILL USEFUL CHRISTMAS PRESENT." 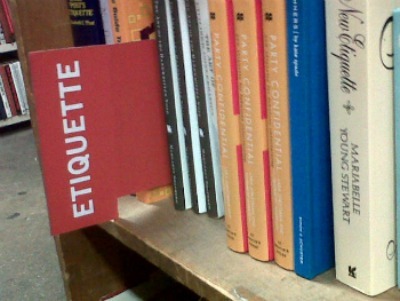 Don't you enjoy finding a "story" in a used book? It reminds me of one of my favorite flicks, Serendipity. 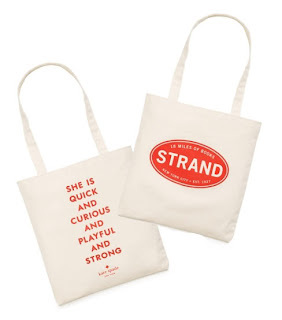 Like most New York institutions, Strand has it's own merchandise section.You may recall Kate Spade's partnership with Strand last year - they still have totes in stock. Couldn't help myself, had to have. 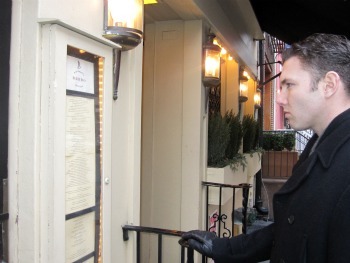 I can't wait to share my other favorite NYC hot spots, there are manyyyyy. Hope you're having a fabulous weekend and perhaps discovering new places in your own city! As you know I am freezing my tush off Upstate. Fun post! That restaurant sounds amazing! Lucky you to snag a reservation.